Sylvester Stallone turned 72 years old this week, and got proper action hero birthday wishes from some of the best in the biz. Sly made an appearance Friday at London’s O2 arena — the same day he hit the big 7-2. 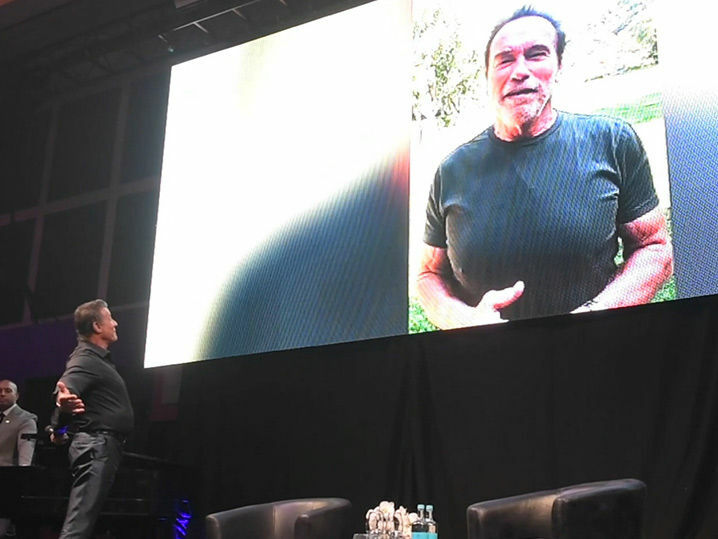 While answering questions from the crowd, a video message was played to honor his born day … with well-wishes from A LOT of his old action flick buddies. Guys like Arnold Schwarzenegger, Carl Weathers, Jean-Claude Van Damme, Michael B. Jordan, Al Pacino and Dolph Lundgren (the Russian in ‘Rocky IV’) all gave a shout out to Rocky Balboa for hitting a new milestone in his life … and continuing to punch back. You’d think this would be the greatest gift ever … but, apparently, not for Sly. He told the audience that the best present he’d ever gotten was his three daughters, who were present.